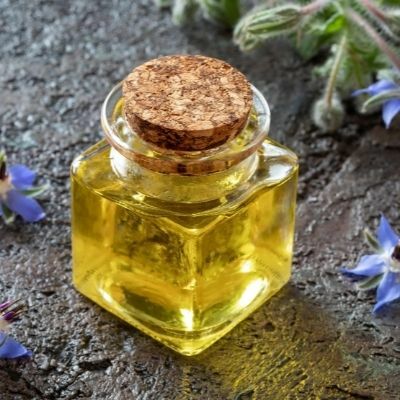 Borage Oil is a little known secret for keeping your skin healthy. It is a natural oil that not only restores moisture and smoothness to dry and damaged skin, but can also provide relief to people who suffer from chronic skin disorders such as eczema and atopic dermatitis. This oil makes a wonderful cream or lotion. The very high amount of GLA makes borage seed oil a suitable natural remedy for rheumatoid arthritis. It is also helpful in compressing swelling on the skin and in other skin conditions like psoriasis and eczema.
.***Saponification value = 190 mg KOH / g of fat.